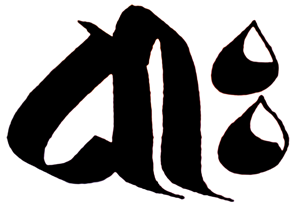 Dhīḥ is singular of either the nominative or the vocative form of the noun - ie it is either a name or attribute; or form of address as in Oh (she) who perceives. The word occurs rarely in the Ṛgveda where it's usually translated as intelligence or prayer, though clearly the connotations are much broader. Antonio T. De Nicolas translates it as vision in his essay Religious Experience and Religious Languages. Monier-Williams definition 2. is clearly interesting territory for Buddhists and covers much the same religious territory as the wisdom dieties mentioned below. 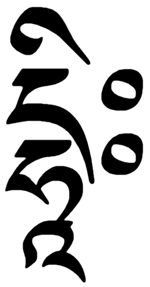 So dhīḥ, not surprisingly became the seed syllable - the sonic quintessence - of the goddess of wisdom in Buddhism, Prajñāpāramitā, who names means "perfection of wisdom". It occurs, unusually in the middle of her mantra: oṃ āḥ dhīḥ hūṃ svāhā. "Then you draw the right hand back, and at the same time put the left hand forward. This motion of the left hand symbolizes closing the doors of the three lower states of rebirth; drawing back the right hand symbolizes one’s wish to bring all sentient beings to liberation. But to fulfil this wish is not easy. You must have great knowledge and wisdom; and for this you recite ‘dhīḥ’, asking Mañjuśrī to pour down a torrent of wisdom upon you." But the word also has an effect on Mañjuśrī he "blesses us with wisdom and understanding". These two aspects of the use of mantra go back to Vedic times when the sacrifice provided 'food' for the gods, who responded with 'food' for the worshippers - the food in both cases being metaphorical rather than literal. Edie Farwell and Anne Hubbell Maiden, in The Wisdom Of Tibetan Childbirth tell us that Tibetans paint dhīḥ on the tongue of newborns using saffron so that they will be articulate and wise. So dhīḥ is the syllabic, even sonic, representation of perfect wisdom - the wisdom that sees everything just as it is, without adding or subtracting anything, and is applied in ways which both evoke and invoke the qualities of perfect wisdom as embodied by Mañjuśrī and Prajñāpāramitā.